Margaret Junwait in the sound recording booth. Photo by Jonathan Tichler. 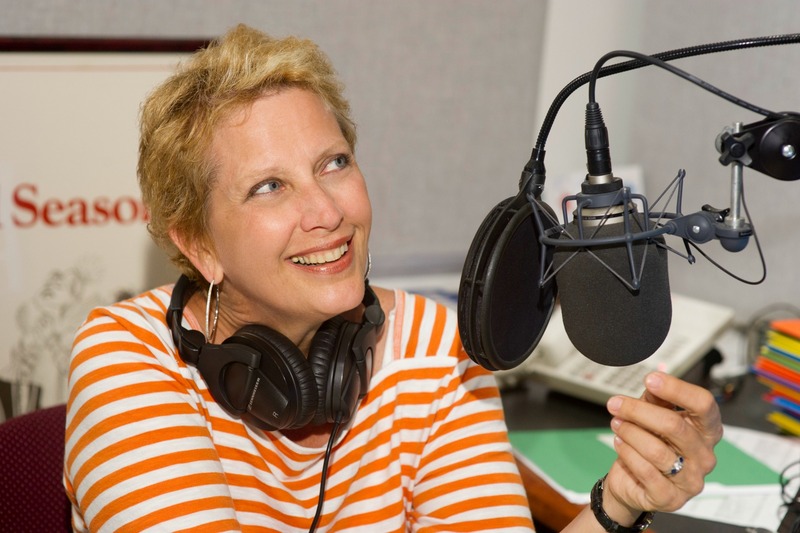 Great Performances mourns the passing of Margaret Juntwait (March 18, 1957 – June 3, 2015), the voice of Great Performances at the Met. She was heard over the funding credits, as well as on various promotional spots for the series. She also appeared on camera during the intermission features of several broadcasts over the years. But for millions of listeners around the world, Margaret was the voice of the Met radio broadcasts for the past decade. She was appointed to the post of Met radio announcer in October 2004, and her first Saturday matinee broadcast was a December 11, 2004 performance of Verdi’s I Vespri Siciliani. She went on to host a total of 229 live Saturday broadcasts, as well as 898 live broadcasts on the Met’s Sirius XM channel. Her final Sirius broadcast was the new production premiere of Lehár’s The Merry Widow on December 31, 2014. Our condolences to Margaret’s family and friends.